What kind of flashlight do you use? We’ve got many models of flashlight batteries for you. As long as you purchase the vapcell battery via this aliexpress link, you will receive a free zipper case. The case will be valid for five days after Posting, placing an order and leaving a message from the BLF. 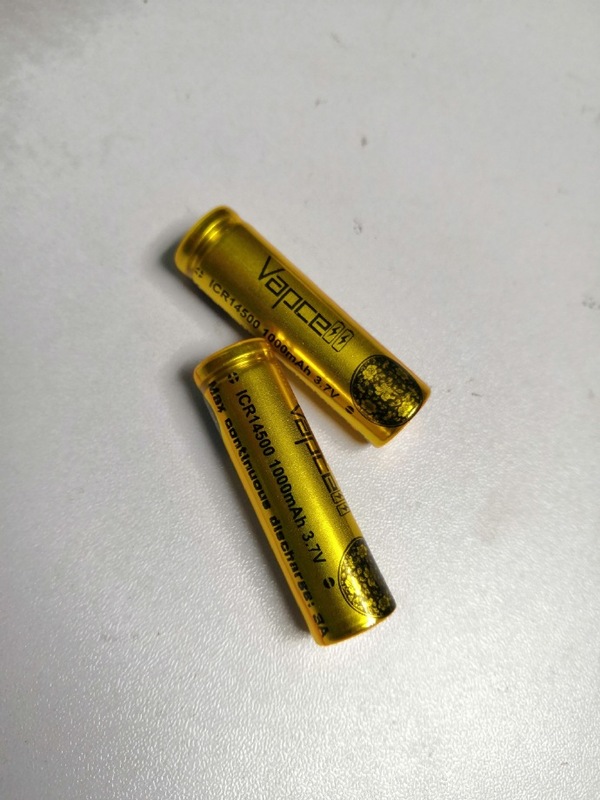 To repay BLF fans, vapcell launched four discounted batteries. Add a button top to fit the flashlight better. If you don’t like it, please tell me which one you like, and we will make a discount for you next time. Have a great weekend ahead of time. And 14500 1000mah battery can replace Sony 14500 680mah and Sanyo 14500P 840mah. At present, the battery is flat top, which can process button, but it will increase the length. Unit price concession, you deserve it. Very much interested! PM sent. Very nice! Good work Vapcell! I will wait for it to appear on your website. Any progress on a good capacity high drain 16340 cell as well? Nice to see another option to the Sanyo 14500P. Waiting to see them in your Store! Ooooo get one to Hkj for further testing! I am interested in 3, what is your best price? Where to order, link? Oh ! I want some!! 16340 battery,it seems that progress has not been made for many years. 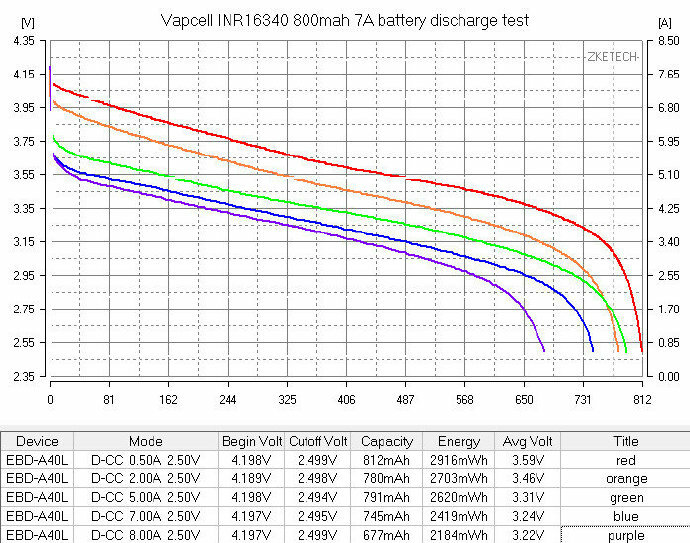 We are looking for a better 16340 battery. I have questions to consult you. 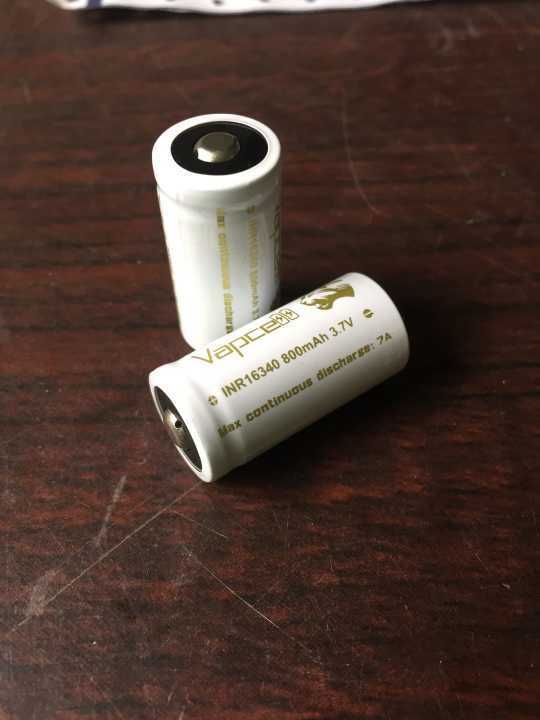 What is the main purpose of this battery? What is the market share of battery power requirements compared to 18350? The main purpose of the 16340 battery is flashlight use. Many popular pocketable flashlights are on the market that make use of in the USA widely available (non-rechargable) CR123 batteries, these flashlight are often used with (rechargable) 16340 batteries. The 16340 is noticably smaller than 18350 batteries and flashlights for 16340 batteries are often used in the pocket of your pants, while 18350 flashlight are found by many people to be a bit too big for that. The market share in general is not high (the 16340 is not used much in vaping), but for flashlights the 16340 is a very common battery. As Djozz has stated, a number of compact flashlights use CR123 and are compatible with rechargeable 16340/16350s. Current draw for these applications is 1-3Amps most commonly. But the nature typical of BLF forum users are to prefer higher current capable cells. So continuous 5A would be a good limit for this size cell, in my opinion. I feel that a minimum requirement is at least STRONG performance at 3A. Of course I will test it. This is very exciting news! I love the 14500 size because I have a ton of AA/14500 lights that can use this. I have a number of Sanyo 14500P but always wish the capacity can be higher. This will help a bit. What cell is under the wrap? Surprise it can beat the Sanyo in energy density. Also, did you send the Sanyo NCR21700A to HKJ for testing? Really like to have that on his comparator. It seems to be the best 21700 for most flashlight use cases unless very high current is required. Interested in the 14500, and hope you can do a good 16340 also. Have several of both types of lights since I prefer those sizes for edc. Very interested in this 14500. I have a number of 14500 flashlights and so far the best high-drain cells I have only hold 650 mAh. 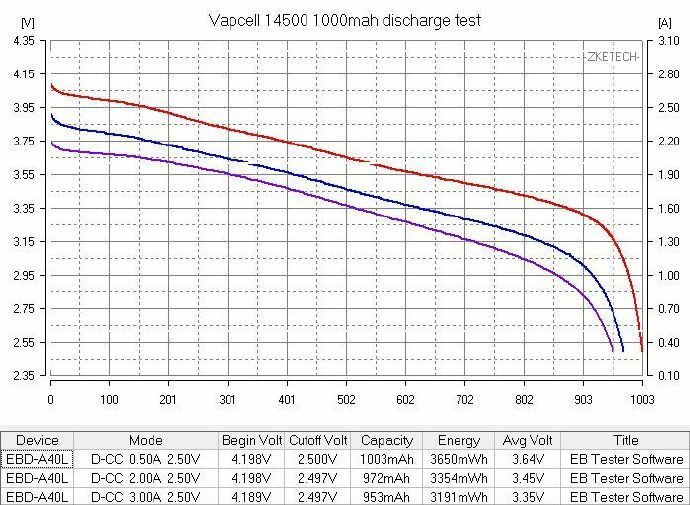 Question on your new 14500s Vapcell: What is the sustainable current? 3A? 4A? Anyway, looks good. The price is secret intentionally? It is not listed yet. Thanks, HKG. The protected cell form factor (apparently) receives little love of late. This is not a protected cell, it has no electronics that prevent overcurrent or overcharge/-discharge. The PTC is a one-time fuse that will blow in case of a direct short, all li-ion cells from major brands have that. I’m looking forward to this 14500 coming on the market. Thanks Vapcell! But the Vapcell AliExpress store doesn’t seem to ship to my country, the Philippines. Is there some way to have it shipped in a reasonable price? We have sent a few weeks ago, HKJ probably almost received the sanyo NCR21700A battery. I got a parcel with batteries from your yesterday, I have not checked the contents yet. It is listed on the Vapcell aliexpress store now. US $6.99 for a pair. Items in my Cart, Currently not available to order? Dunno, just bought 4 of these, I have seen no availability messages. Nice but it would be perfect if there were new 16340 cells. By far my most used cells. But it will increase battery length. (djozz) Thanks for the clarification. (vapcell) Thanks for stating the obvious and the offer of making something happen if needed. I have never witnessed such hostility on this forum to the protected cell form factor. As folks are heaven forbid injured moving forward it will unfortunately be difficult to spotlight but not hard to explain. Glitching on my side there chief, 4 times, finally went thru, kept faulting out going into PayPal, kicking me back to the website?